If you've recently experienced the wrongful dismissal from a job, it might be time to hire an attorney. Click here for 14 reasons to consider a legal expert. Losing your job is a devastating experience all on its own, being fired makes it worse. But being dismissed from your job for reasons that were not your fault is also frustration. Wrongful dismissal happens to people all the time, and many are not aware or feel like they can challenge the dismissal. Being fired or laid off from your job without the proper notice or compensation is against the law, and you can fight it. If you were recently let go from your employment and feel it was wrongful dismissal, then you have some options. Here, we will look at 14 reasons you should get an attorney. Being fired or laid off from your job with an explanation, like there is no work or you were caught doing or saying something that goes against company policy, you likely don't have a case. 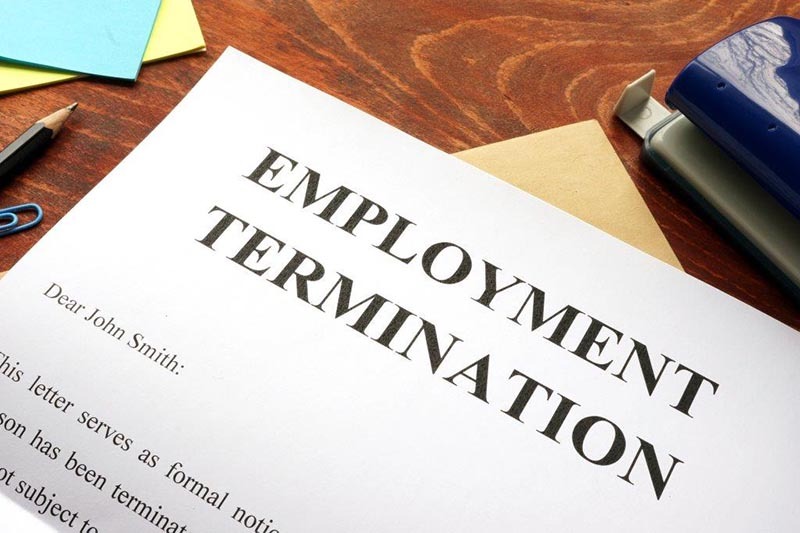 If you are fired or laid off with proper notice, then that is not wrongful dismissal. Likewise, if you are given no notice but receive some sort of compensation package, then that is also legal. When you are fired, dismissed or laid off without cause, notice or severance pay, then you have experienced wrongful dismissal. You may feel like that's the end of it, but it isn't. Finding a lawyer to take on your case might not seem hard, but you need a lawyer who is versed in the area if wrongful dismissal. Losing your job is a very confusing and stressful time, and you want the best person to help you through it. There are just so many areas you may be unaware of that your lawyer will understand. If there was a contract or a breach of contract, if there is a union involved and was there a violation, was there a clause or law broken. You need a lawyer who knows the differences that occur, the ins and outs and the legal applications specifically for wrongful dismissal cases. Workplace lawyers understand what is actually happening and where to go next. Lawyers specialized in workplace law have the experience and knowledge you need. There could be issues at play that you have not even considered, and they will be able to find those. We will break it down and look at reasons why you need to hire a lawyer for yourself or family member if you think you are owed for wrongful dismissal. What you think it okay may actually be illegal. You want to set up an appointment, even just a casual meet and greet to explain your situation and see if you have anything to move forward. This is the best time to lay it all out to your lawyer and be very honest. Even if you did something wrong but feel your firing was still not justified or done correctly, you want to know where you stand and what actions, if any, are available to you. Keep in mind that employment law lawyers are inundated with telephone calls and emails about wrongful dismissal; and, a good lawyer is a busy lawyer so they will often charge for their consultations - if they are not working for you, they could be working on another matter and they have certain targets or obligations to their firm that they must meet on a monthly basis. A lawyer specializing in wrongful dismissal will have inside knowledge and experience in handling these situations. You may think your case is unique, but chances are, they have seen it. Talking to a lawyer is just a wise move, and one who specializes in workplace dismissals will have insight and experience in how to proceed, if necessary. They handle cases like your all the time; they will know what to do and help you through this trying time. As employment lawyers we have seen and heard it all, from online gambling to affairs in the office. We do not judge, we are simply hear to advance the best case going forward for our clients. Even if your dismissal is due to something embarrassing to you and you are worried it will get out, your lawyer will handle your case with discretion and a professional manner. You want your case in good hands. You have enough stress over losing your job and worry about how to proceed. Let your lawyer worry about how to get the right compensation and keep it all discrete. You can trust your lawyer to work with your best interests at the forefront. Handing over any documents or evidence will be kept safe and only used to further your case. You may be worrying about how this past action will reflect on your chances of finding a new job in the same field. Your lawyer will be able to advise you in this area and keep your past information private. You wrongful dismissal lawyer has the knowledge and ability to figure out how much compensation you are due. Depending on the case, you may be entitled to more compensation than you think. The potential loss of wages and bonuses, retirement packages, promotions, expense accounts and payment to the lawyer and your pain and suffering may all be considered in your case. Any documents and papers that need to be filed or filled out can all be taken care of by your lawyer. They know which ones, why and when. You do not want to lose out because of some silly mistake. There may be some small details and loopholes you do not know about, and you want to get the best for your self and your family. Let your lawyer handle all of the paperwork and forms, as that is what they specialize in. If wrongful dismissals seem to be prevalent within your company, you can bet that they have a lawyer on hand. You do not want to chance your wrongful dismissal fight to your own ability, even if you know about workplace law. Get prepared and get a lawyer. Your employer will have one ready to fight you, be ready to take them on. It's just smart practice, hire a lawyer for a legal brawl. Let's look at some of the reasons you may want to seek out legal advice, that pertains to the job and the wrongful dismissal. This comes under the category of discrimination. No one can fire you simply because they do not like you. No one would have a job if that were the case. This includes sexual orientation, your marital status, and any other reason that is of a personal matter that does not affect how you do your job. Losing your job or being passed over for promotion or advancement die to any of these is illegal. You may have a hard time trying to prove this, and getting legal help is a smart idea. If you feel that these were reasons you lost your job, you need to talk to a lawyer. Whether it was verbal, written or implied, they will have the expertise to recognize the problem. Harassment can be linked to discrimination and unfortunately, is all too common in many workplaces. Harassment is often unreported, and employees may simply quit rather than endure the abuse. Like discrimination, harassment is directed towards an employee over personal matters that they have no control over. This includes anything that makes you feel awkward or uncomfortable. Any time you are uncomfortable due to inappropriate comments or gestures, this is considered harassment. Being fired for complaining, standing up or as a continuation of these harassments is wrongful dismissal. Missing work due to illness or getting pregnant are not reasons to lose your job. Being fired or replaced or demoted while on maternity leave is also not allowed. If you develop an illness and it affects you are work, you still cannot be fired. Workplace human-rights protect you, and your employer is required to accommodate medical conditions to allow you continue working. This rule goes for pregnancy, as well. You are entitled to the full benefits, paid leave, and the option to return to your job at the end of your maternity leave. They may try to claim it was something else unrelated to your pregnancy, but you should really fight it. They may have just been feeling put out that you had to take time off. This can happen all too frequently, and it is a low and dirty trick. It can be heartbreaking, after all the time and effort you have done and contributed to the organization and then be robbed of your due. Without cause or compensation, this is wrongful dismissal. You may be able to get your due and compensation outside of the original deal. If you were cut off short, this could affect your pension. There is also a case for ageism, and the difficulty you may have trying to find another job if that is your situation. Lost income can be from potential wages, and your future pension, bonuses and any invests or company stocks. This can be very frustrating. Losing your job due to someone's nephew or sister needed a job is wrong. It's particularly annoying if they hire someone to replace you for half the wages they were paying you. Your wrongful dismissal lawyer can get you the results you need. Being let go or passed over for a job due to nepotism is still discrimination, and shouldn't be allowed. This can cause hard feelings among employees, cause potential disharmony and even damages if the family member is not as qualified for the position. Overall morale can drop and therefore, so can productivity. If you filed a complaint against your employer, your manager, a co-worker for something to do with illegal or shoddy practices, you could not be fired for that. If the complaint is serious, or of a personal or sexual nature, you need to seek legal advice. Assuming your complaint was a legitimate complaint, it is against the law for your employer to take action against you simply because they are not happy. If you are potentially exposing problem, violation or even crime, they may think getting rid of you will solve their issue. They may be trying to cover up something that is potentially illegal or harmful, and it is your right and your duty to recognize the issue and report it. Being fired for being vigilant is wrong and needs to be addressed. Being let go for something that didn't happen or happened differently than was suggested, that is wrongful dismissal. If it feels like a false charge just for an excuse for firing you, then you must seek legal advice, rather than trying to fight on your own. A lawyer will clear your name of the false accusations or charges and help you get compensation for the lost job, wages and other stress and hardship. There may even be charges laid against your employer or manager. The burden of proof will be on the employer or manager, and that will be difficult for them to come up with, as it is false. Any proof they manufacture will be considered illegal. Sometimes just trying to find a suitable job that we don't despise and allows us a livable wage is just too hard. When we finally find that job, just to lose it through no fault of our own is devastating. We all deserve to go to work and provide for our family. Too often, we live from paycheck to paycheck, and to have that taken away from us can be catastrophic for us and our families. Laws for workplace health and safety are put in place for a reason, and a violation of those against us needs to be addressed. All too often, people are removed from their employment for no good reason and don't take action. This leaves the employer with the notion it is okay, and they will continue to repeat themselves. It is not okay, and you have rights and are due compensation. If you find yourself in the unfortunate position of wrongful dismissal, contact a lawyer and fight for your job. This entry was posted in wrongful dismissal by verhaeghelaw. Bookmark the permalink.